For my trip to Delhi, I made a very simple rule - NO MAKEUP but then how could I have missed Colorbar? 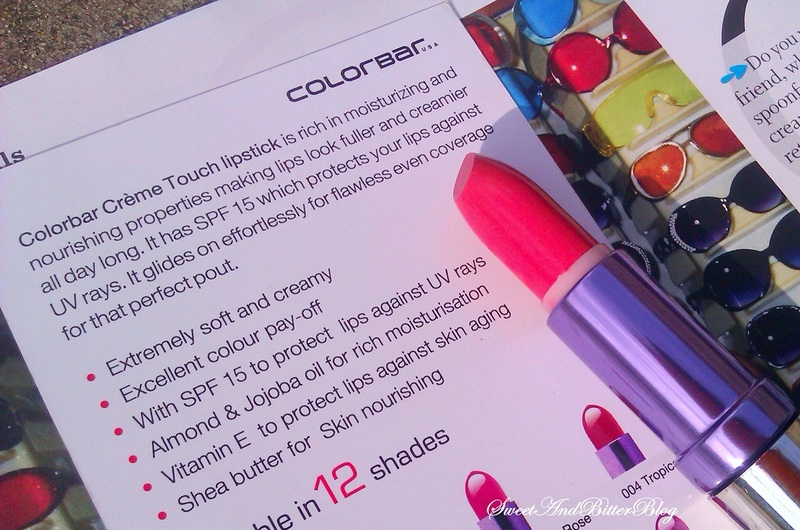 Say hello to the New Lauch of Colorbar - The lipstick that wears purple underwear *wink* - Creme Touch Lipsticks. I really loved the packaging – the inside of the cartoon is purple and outside is silver and the lipstick is also silver outside and the inside part is purple. 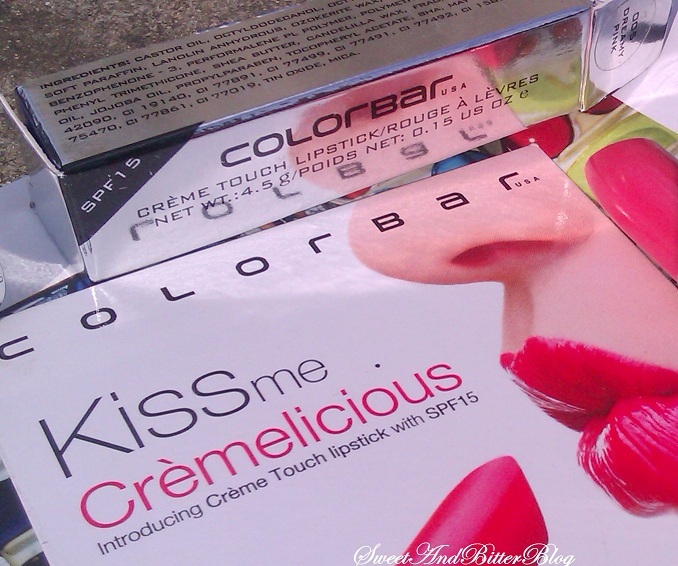 It has the smoothness of a sheer lipstick while applying but covers pigmented lips nicely. The lasting powder is good and leaves tint behind. The formula is very moisturizing and you wont require a lip balm underneath. The biggest issue with this range is that the colors are all dark browns or plums. 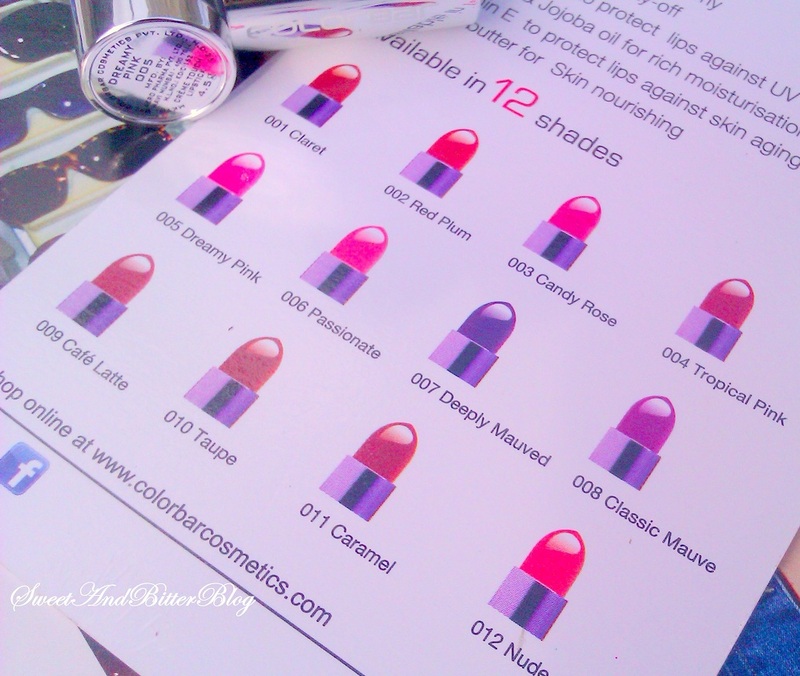 The only light colors are Dreamy Pink and Passionate *cough*copy from MAC again *cough*. Also we are used to the fact they Colobar are for 250 INR but these are priced at 450! As usual they are still not available in all stores other than their flagship so far. I hope its available soon online so that you can enjoy that as well. BTW they have opened new stores in NCR. lasts long? worth the price? is dat ur pic? d first one?? ?